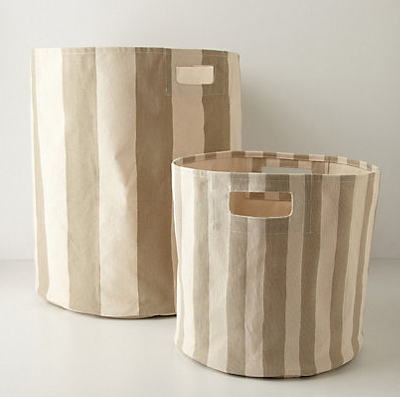 This sleek Candy-Striped Basket will store your things in style. Handles make it easy to move from room to room. Made of cotton. Available in two sizes. By Pehr. $48-$88. Buy here.